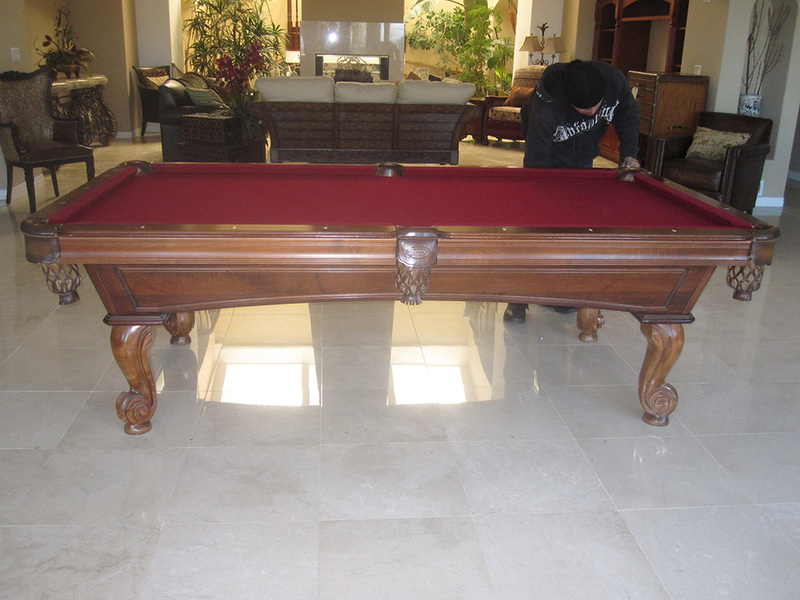 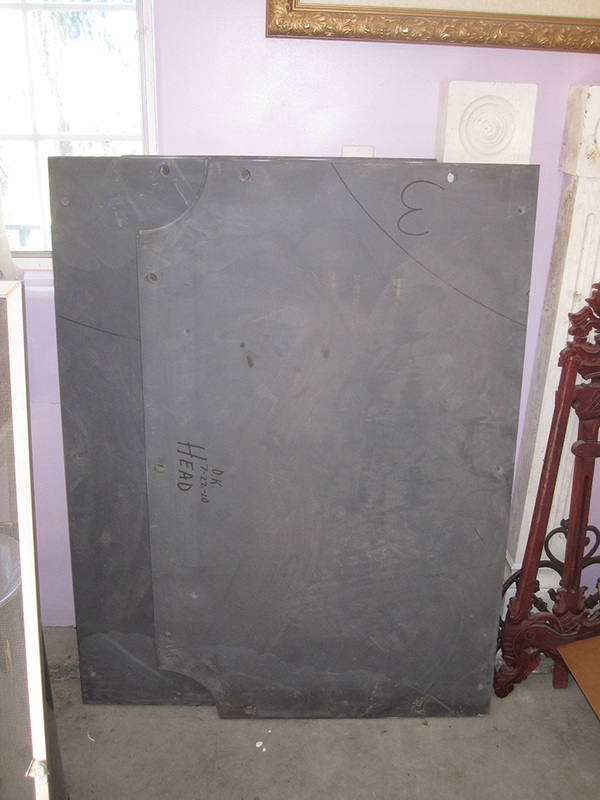 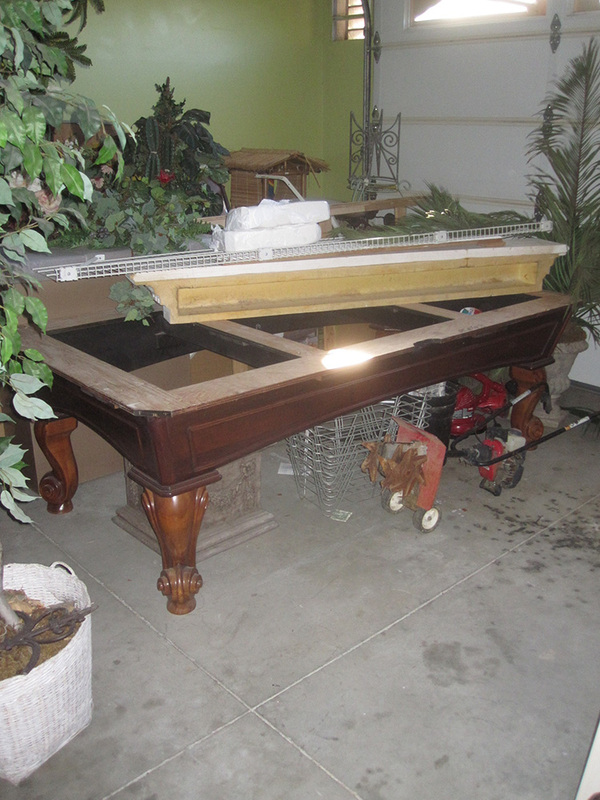 This pool table we had torn down and moved to storage for our San Juan Capistrano clients about a year ago. 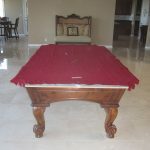 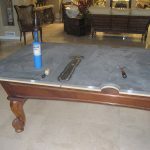 Last week we were notified that their new place was ready and wanted us to pickup the pool table from storage and set it up in their new Marbella condo. 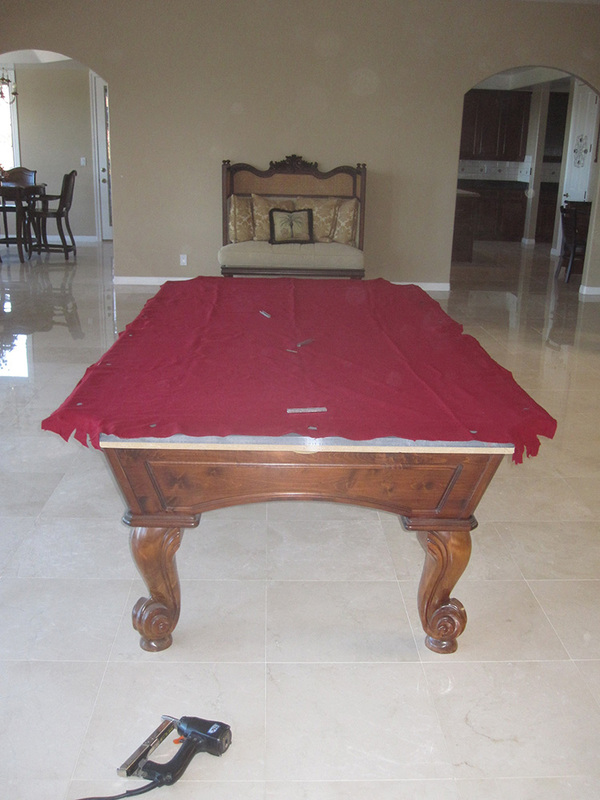 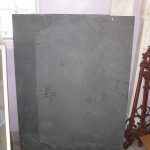 The eight foot three slate pool table was still in the same spot in the storage unit. 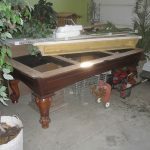 It was packed like a sardine in there, we managed to get it out without any avalanches. 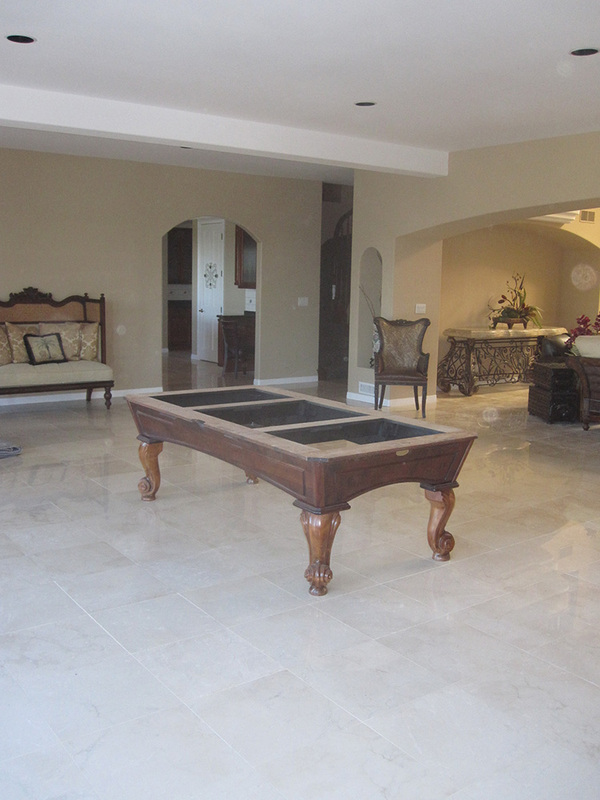 Once we arrived at the new home I surveyed the rooms and found that the formal dining room would make a great game room. 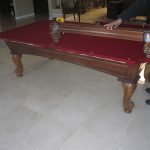 We set up the pool table here and I managed to get one more stretch out of the old pool table felt. 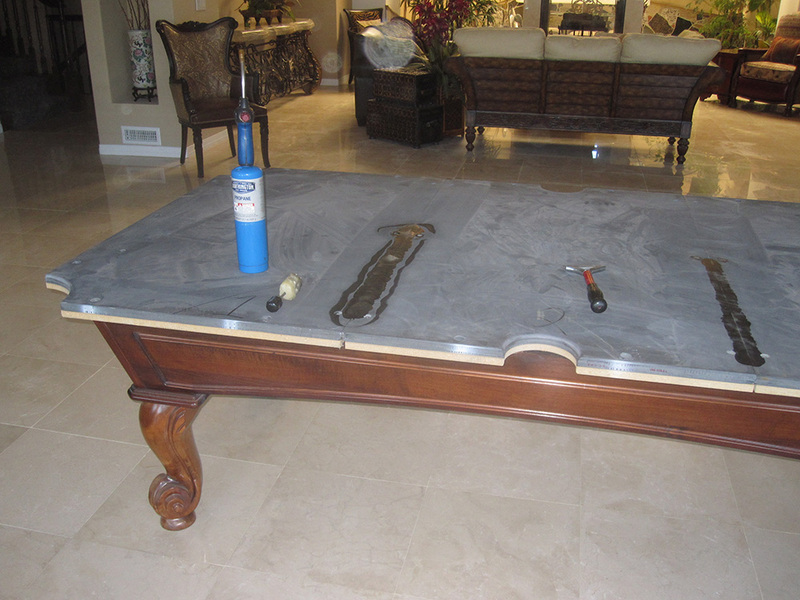 Usually the felt gets replaced during the third install, but this one was in such good shape I told the homeowner that she could get one more use out of it. 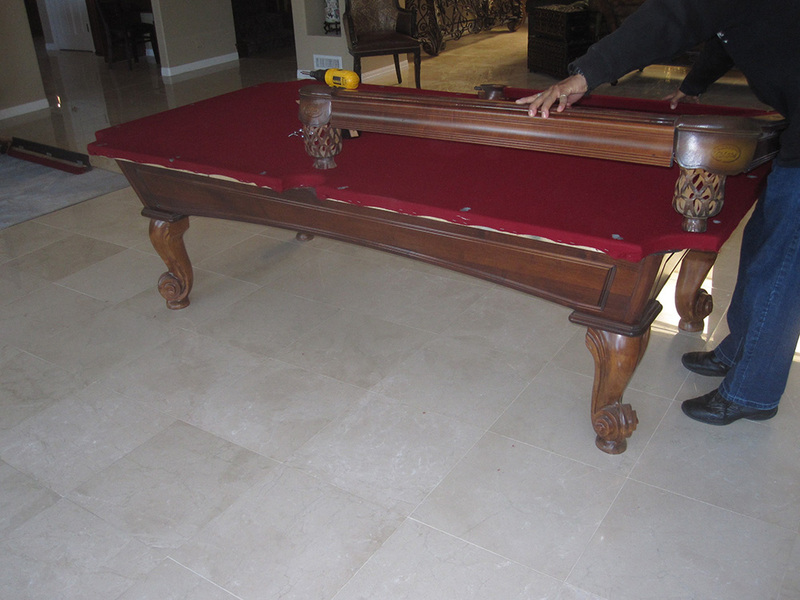 On the next move we’ll refelt the pool table.